With Dunfermline winning 3-2 over Rangers two weeks ago, including that remarkable 3-0 lead after just 46 minutes, The Pars take on the Glasgow side for the fourth time at East End Park this season. Dunfermline have won one of the previous meetings (Scottish Cup) Ranges have also won one (League Cup) and the SPL meeting back in August ended in a 1-1 draw (Owen Morrison scoring a deserved equiliser) So it`s literally honours even between the two teams at East End Park so far. However, it is THAT cup result that will no doubt linger longest in the minds of anyone Dunfermline minded, and rightly so given the rarity of a Pars win in this fixture. With Rangers winning the remaining match at Ibrox in a rather straightforward manner, this will be the final meeting between the sides this season. The solitary match in Glasgow ended in a 2-0 win for the home side due to a Sol Bamba own goal and a Kris Boyd decider. 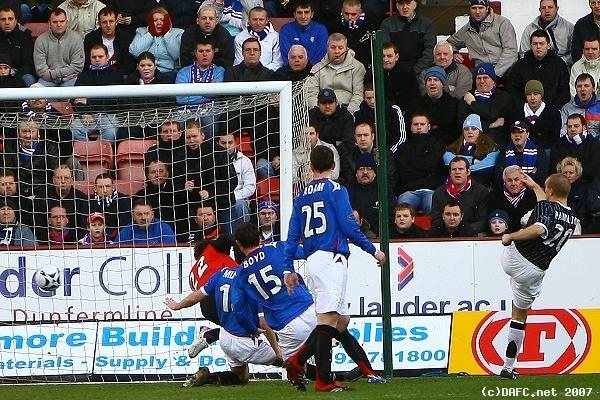 Dunfermline can obviously take a lot of confidence from the cup win over Rangers. Ian Durrant was their caretaker manager at the time, and Gavin Rae continued in his role as "barry gate" continued to take up more column inches than it ever merited. Ferguson, along with his buddy Boyd, had the best chances for the away side on the day, with the former blazing a header off the bar whilst Boyd took two chances to make the scoreline closer, and a lot of Pars supporters more nervous as the game drew to a close. 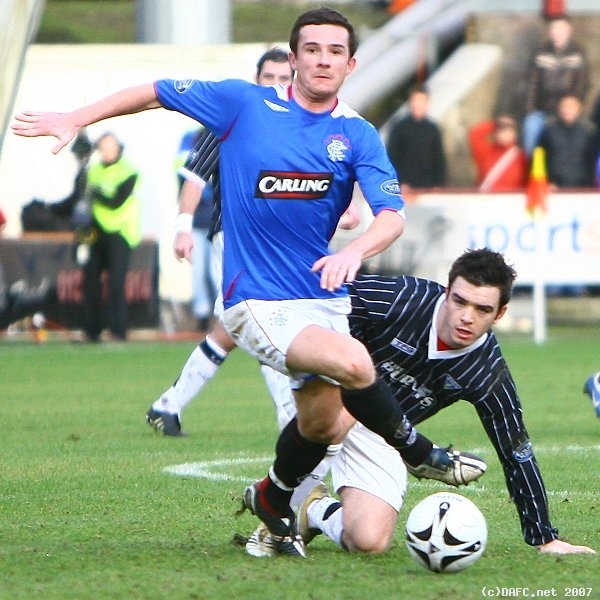 However, it was the Pars who showed refreshing attacking abilities on the day. 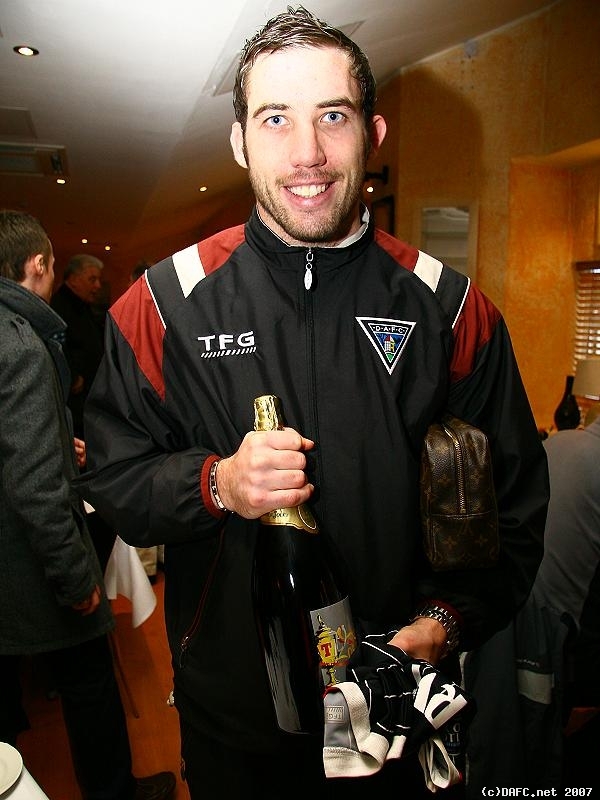 Jim Hamilton scored his first Pars goal at East End Park, which set him off on perhaps his best match in the black and white yet. He gave the Rangers defence a torrid time as he won header after header, whilst then debutant Jim O`Brien gave Iain Murray an equally hard time on the right wing. Since then, Bobby Ryan has joined the Pars from Shelbourne and is likely to make his home debut after taking part at Falkirk last Saturday. The newcomers are likely to be joined by yet another new signing as Adam Hammill (who turns 19 net week) has signed until the end of the season from Liverpool. A FA Youth Cup winner with the Anfield side last season, his progress through the ranks has seen him win caps for England at under 19 level, and this will be his first opportunity to display his talents at first team level. His Liverpool FC profile states that Hammill "can play on the left or right wing and has a lot of talent. He is very creative and can be a real nuisance for opposition defenders." Anyone clicking on Hammill`s online profile can also see a rather spectacular goal scored from just inside the opposition`s half on Liverpool`s march towards that FA Youth cup final. Hammill, along with Ryan and O`Brien will now be charged with the task of providing the chances that have come along all too infrequently for Dunfermline`s front men this season. With the worst "goals for" column by a considerable margin (ten goals in the thirteen home matches to date, and an embarrassing three from the twelve away games) Dunfermline`s problems in front of goal are clear to see. However, Jim McIntyre finally returned to action after a horrific injury spell, and could well make the bench for Sunday`s game. However, the main source of the season`s goalscoring frustration must surely be the lack of chances being created for Hamilton, Stevie Crawford et al. Hopefully the situation will be resolved in time for McIntyre`s full first team return.